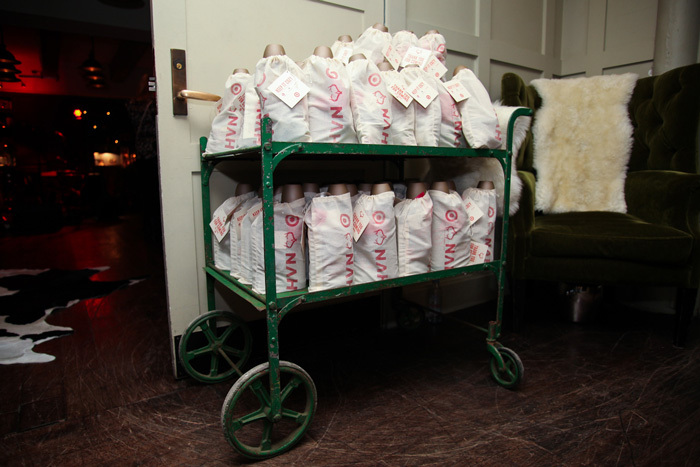 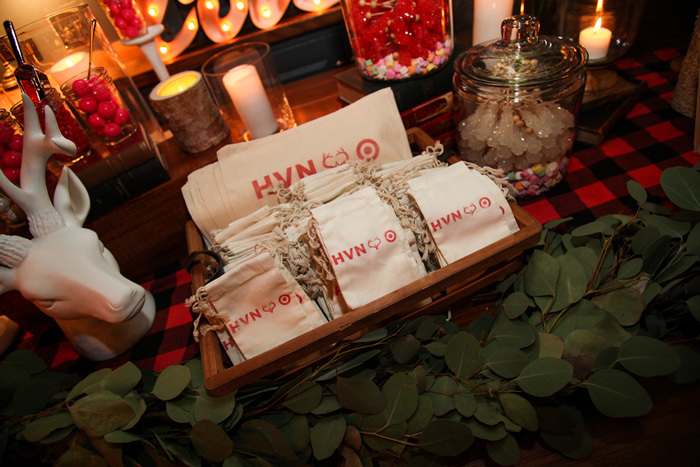 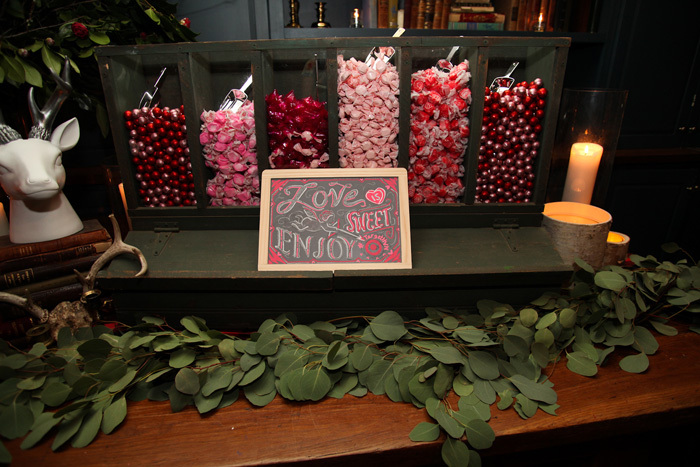 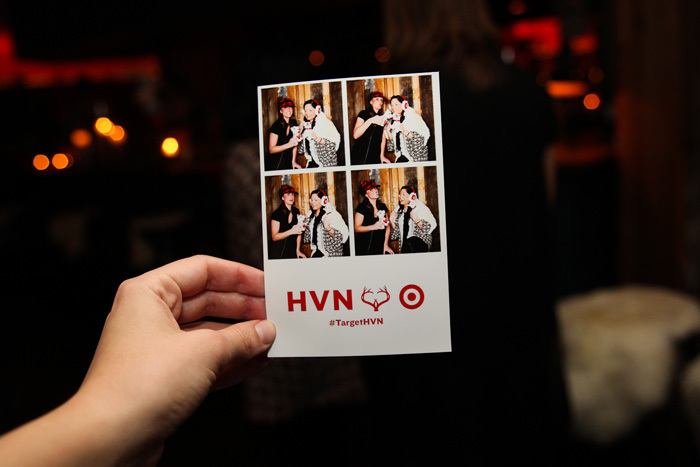 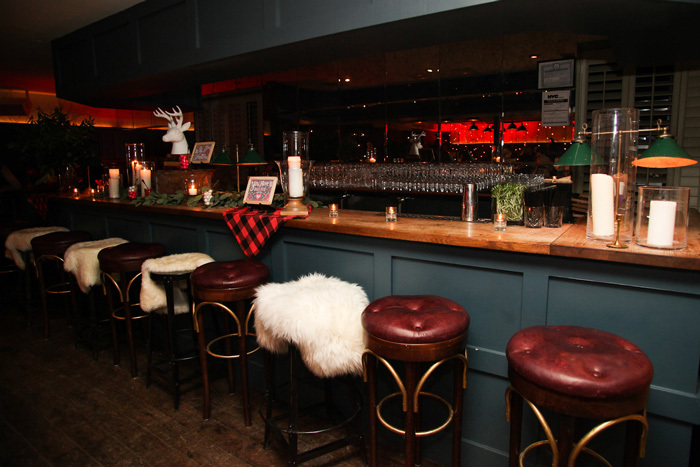 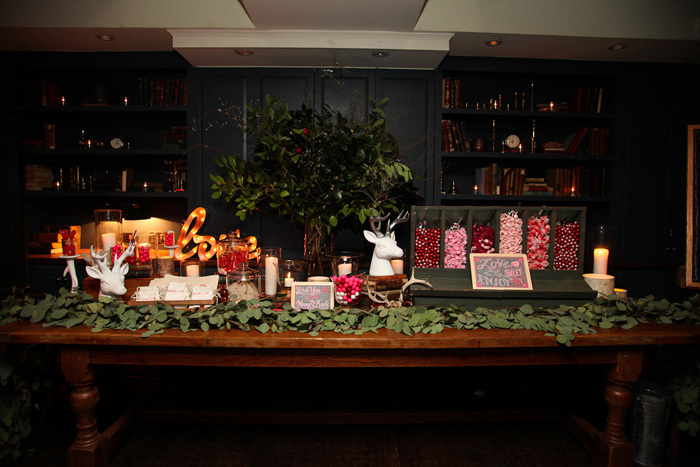 When Target wanted to throw a stylish, Valentine’s Day themed party to kick off Fashion Week, they turned to us to create a whimsical, kitchy space in the beautiful Soho House in NYC. 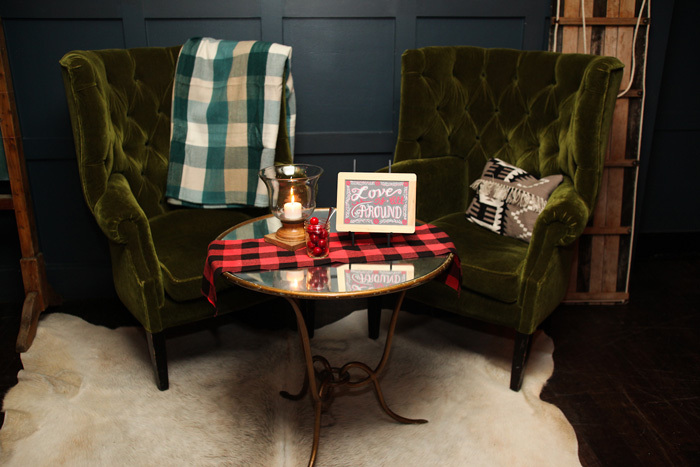 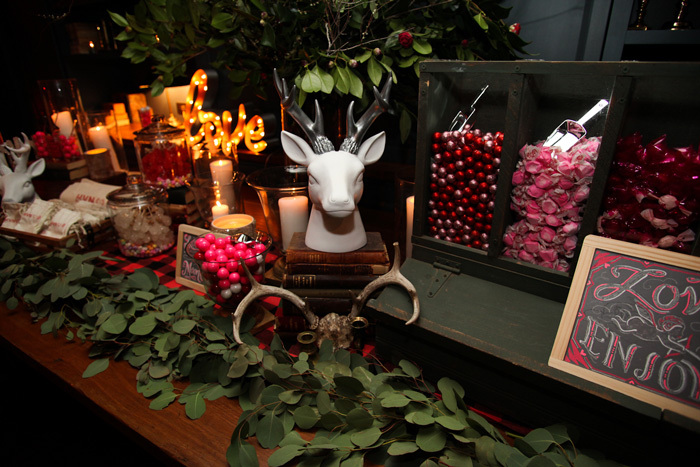 Using a winter woodland inspiration, we outfitted the library room with cozy, velvet lounges, cow-skin rugs, red and black plaid, and of course plenty of candy. 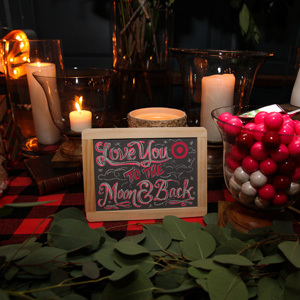 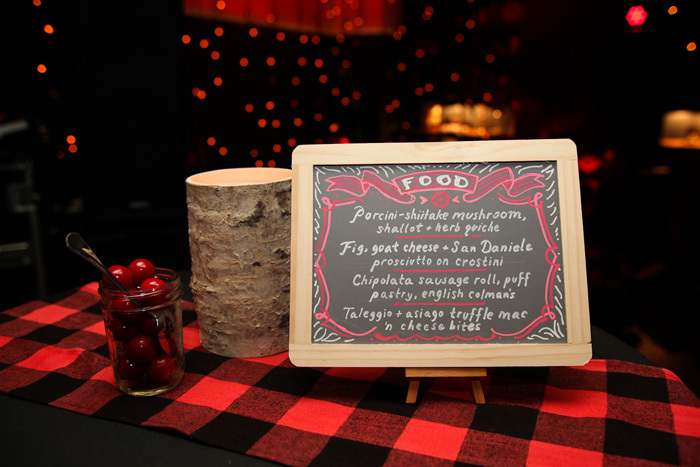 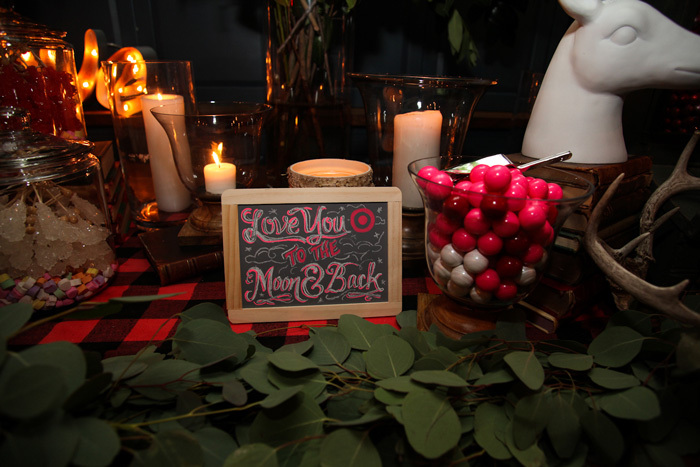 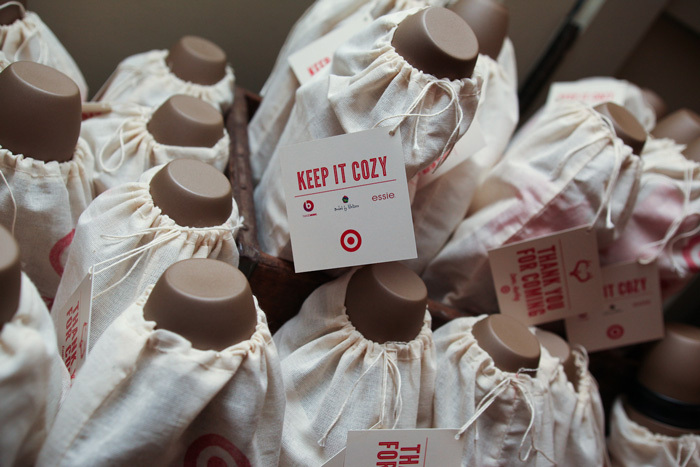 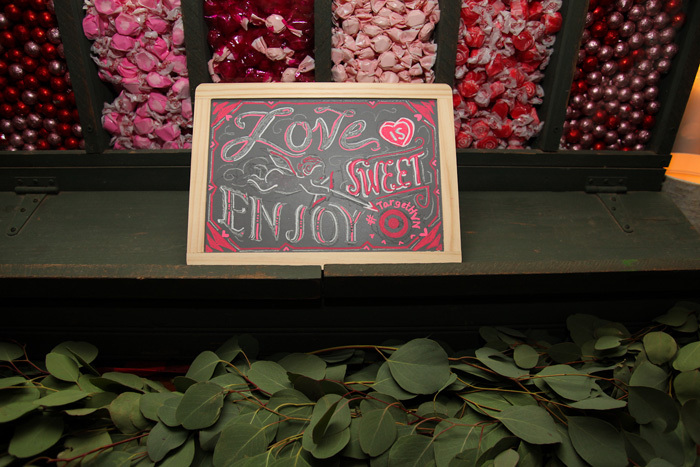 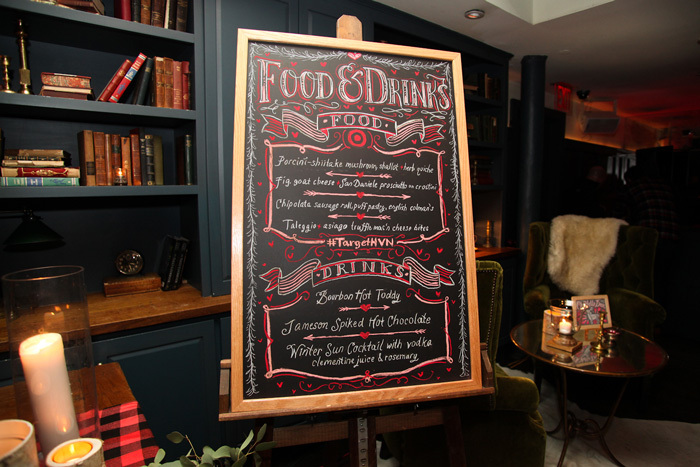 The Target brand was clearly visible throughout the party by incorporating their bullseye logo on the custom made chalkboard signs and using their signature red color on all aspects of the event design. 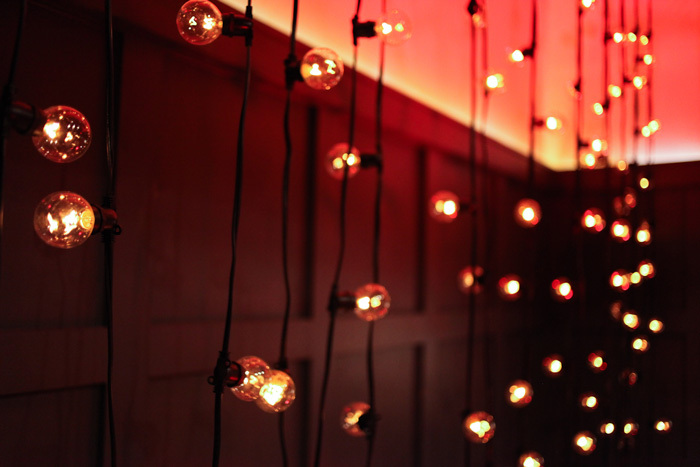 Professional lighting, designed by us, was hung to accent the band as well as spotlight the lounges, candy buffet, and decor elements in the room.